We have amended the Notice of Race (NOR) and the Safety Equipment Requirements (SERs). 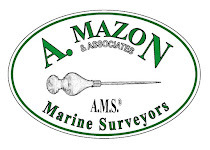 These changes will clarify several potentially ambiguous points and in the SERs, specifically, have either eliminated duplicate or unnecessary requirements or, in the case of the AIS, changed it from a requirement to a recommended item. The links on this website have been updated with the amended documents, and a new link, "Notice re: Amendments", has been added that contains a short summary of the changes to both the NOR and SERs. Lastly, the PDF of the entire Entry Packet and all documents at RegattaNetwork have also been updated. If you have already previously downloaded these documents, please download the new versions to ensure you have the latest information. If you have any questions, please contact me at race.captain@cycportland.org. Corinthian Yacht Club of Portland, Oregon is inviting all racing yachts to participate in the first annual Cascadia Cup. 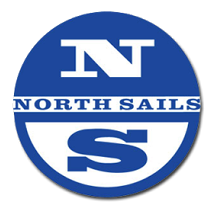 This event is a race within a race and is open to all yachts that participate in the Oregon Offshore International Yacht Race and the Swiftsure International Yacht Race events. Swiftsure counting events are: Swiftsure Lightship Classic (PHRF Only), Cape Flattery Monohull (PHRF), and Juan De Fuca (PHRF). There will be a single trophy awarded for the overall winning yacht, consisting of a take-home commemorative plaque and a perpetual trophy which will be kept at the Royal Victoria Yacht Club in Victoria, BC, Canada. The event will be open to all yachts possessing a current PHRF NW rating which enter the Oregon Offshore Race and the counting Swiftsure races. Scoring will be by cumulative time and distance. Ties will be broken by awarding the win to the yacht with the best numerical finishes. Corinthian Yacht Club will be issuing an official Notice of Race soon. Sailing Instructions will be issued approximately two weeks before the start of the Offshore. THE OREGON OFFSHORE IS OPEN FOR REGISTRATION!! 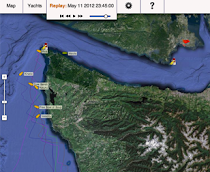 This is the 43rd running of this 193 NM race starting at Buoy 2 at the entrance to the Columbia River and ending in Victoria BC, The race dates are May 9 to May 12 and the crew party and skippers meeting is May 8 at the Rogue Brewpub in Astoria, Oregon. Our title Sponsor, Schooner Creek Boatworks continues to support this challenging and fun event. New this year is the Cascadia Cup that is open to all Oregon Offshore competitors that participate in one of the long course events of the Swiftsure International Yacht Race. For registration, go to https://www.regattanetwork.com/clubmgmt/applet_registration_form.php?regatta_id=18160 . Looking forward to a great race and seeing all of our new and former competitors on the starting line.